Announced all the way back in July of last year, the Rick and Morty VR simulator is now ready. 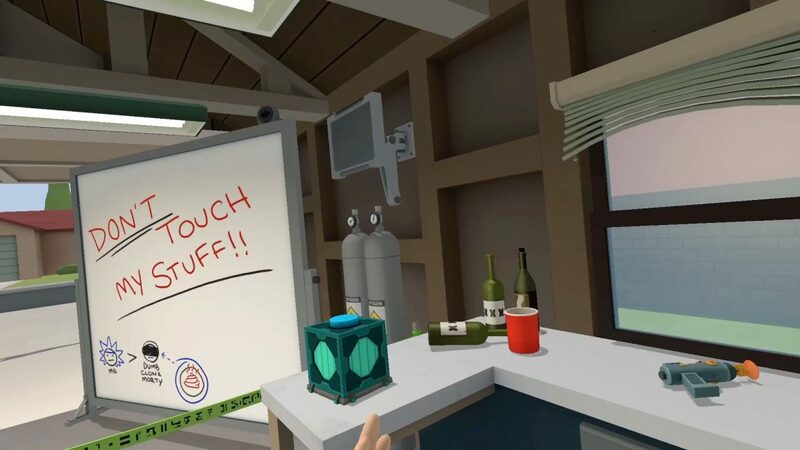 Appropriately launching on April 20, Rick and Morty Simulator: Virtual Rick-ality, which was originally just coming to the HTC Vive, is now also Oculus-bound. Although it has the potential to be filled with plenty of great jokes and absurd situations like the show, don't expect a whole lot. The idea is that you're playing as a clone Morty wandering around various setpieces and screwing with Rick's stuff. It sounds pretty limited in scope, but reminds me of those brilliant '90s experiences like Virtual Springfield and Monty Python's Complete Waste of Time, two of my favorite PC games.